Varieties of Neck Collars may also be stiffened traditionally with starch. 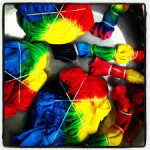 Modern washing and wearing shirt collars may be stiffened with interfacing or it may consist of metal or plastic collar hangs. Shirt collars which are not starched are illustrated as soft collars. The shape of collars is controlled by the shape of the neckline to which they are attached. Most of the collars are fitted to a jewel neck shape; a neckline sitting at the base of the neck all around; if the garment opens down the front, then the top edges may be folded back to form neckline and a V-shaped opening and the cut of the collar will be adjusted consequently. 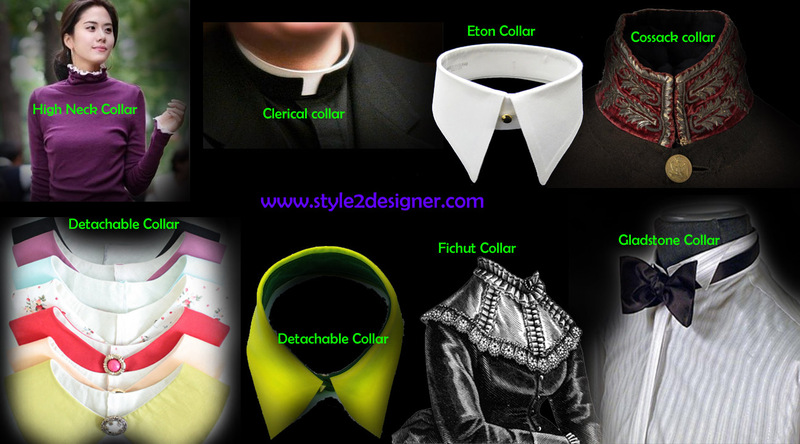 Clerical collar: Clerical collar is a band collar which would be worn as part of clerical clothing. Convertible collar: It is a type of collar designed to be worn with the neck button moreover for the purpose of fastening or unfastening. Cossack collar: A high standing and as well as rich status collar opening to one side and normally trimmed with embroidery; admired under the influence of the year 1965 film Doctor Zhivago. Detachable collar: It is also called as false-collar. A collar finished as a separate fashion accessory to be worn with a band-collared shirt (presently worn styles are turndown, tab and dog collars; as well as past styles such as Imperial or Gladstone). Double Round Collar: Double round collar is a turn down collar with rounded ends. Eton collar: It is a broad stiff buttoned collar shaping part of the uniform of Eton College starting in the late 19th century. Falling band: Falling band is a typical variety of collar with rectangular points declining over the chest which was worn in the period of 17th century and outstanding part of Anglican clerical clothing into the 19th century. Fichu collar: A collar technique like an 18th century fichu [Fichu is nothing but a square kerchief worn by women in the 18th century to fill in the deep neckline of a figure], a large neckerchief folded into a triangular shape and worn with the point in the back and the front corners tied over the chest. Gladstone collar: Gladstonecollars are a standing collar with the points pushed to stick out parallel at the side-fronts and worn with a scarf or ascot ties. These were more popularized by the British Prime Minister William Ewart Gladstone. High neck collar: Highneck collars are applied for covering all or for the most part of the neck which were more trendy and well-accepted among women in Edwardian times. Hey there! I appreciate you for the truly great information. Stay the best!